A micro-documentary differs from a long-form documentary in terms of length, structure, and quite often, purpose. While most long-form documentaries tell a story with a classic three act narrative structure, shorter documentaries require different strategies for structuring the viewer’s experience. Most often a micro-documentary will be 2 to 3 minutes in length, though some can be as long as 5 or even 9 minutes. From the standpoint of a narrative arc, you don’t have enough time to establish character, develop conflict, and reveal backstory the way you can in a longer work, therefore, alternative editorial strategies must be considered. Quite often micro-documentaries are made for advocacy purposes, and given how short they are, they need to make their point before the viewer starts considering clicking on something else. We live in the age of media-snacking and we’ve got to make sure we make our point succinctly. So what separates a micro-documentary from an advert? I believe there is a difference, and it has a lot to do with authenticity, voice, tone, and motivation of the people commissioning and producing the work. What are we saying and why are we saying it? The answer to that will often help us determine the difference between a micro-documentary and adverts that co-opt the codes and conventions of documentary. 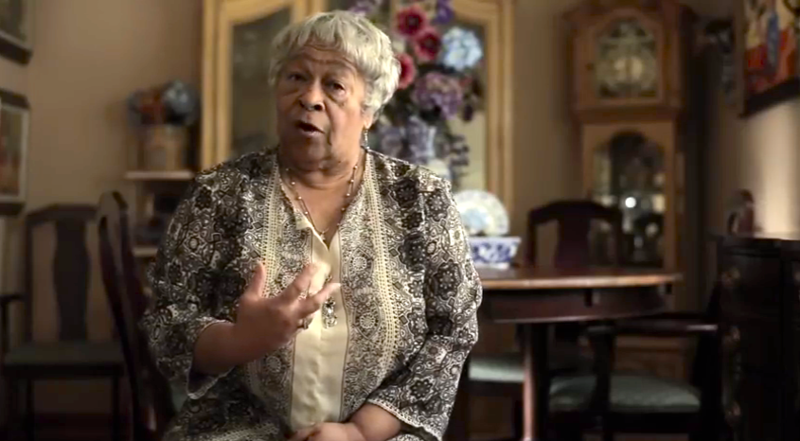 Image credit: Frame still from William Bynum – Hope Credit Union (Micro-Documentaries, 2013). If you want to convey an impression rather than tell a story or convey a message in a conventional manner, you can take the viewer on an audiovisual journey crafted with a sequence and/or collage of images based your observation of a single place, a specific event, or a particular process, without a central character to drive the story, yet tied together by a unified theme. Each of these frameworks can be effective in helping you structure a compelling micro-documentary. There are other possible variations, you can mix and match as needed, however, the key challenge to keep in mind you have accomplish your goals in a short amount of time, so your video must be tightly structured in terms of the ideas, events, or issues covered and the number of characters driving the story. There is little or no time available for subplots, secondary characters, and backstory. The following examples represent a range of styles, production values, and approaches. I suggest examining the structure of these examples and reflecting on which did you find most engaging? Why do you think that is? What do you think is the connection between content, visual style, and impact in each of these works? In each of these examples there is a focus on a single person, event, or place. This, I believe, is crucial for a structuring a compelling and engaging micro-documentary, however, there are always exceptions. Codirected by Frank Simeone and John Chapman, Junkopia was filmed at the Emeryville Mudflats outside of San Francisco while Chris Marker was shooting the Vertigo sections of Sans Soleil. Marker documents, in his indomitable manner, the works left behind by unidentified artists, more notes on this film are available. An exploration of isolation amongst people living in an urban center. Shot with an iPhone 4S, edited in Premiere Pro, color grading done using Magic Bullet Looks. I find the music heavy handed, which detracts from my experience, but I chose it as an example because I saw some interesting connections between it and Daybreak Express. A lushly shot profile of Richard Heinichen, the first licensed bottler of rainwater in the U.S.
A portrait of a person and their place of work shot entirely on an iPhone and to good effect, I like the delightful variety of shots, angles; the great composition; the many intimate close-ups; the rhythm and pacing of the editing; and the focus on one person, one place, one idea, which is a good approach for making a successful micro-doc. It works well within the limits of he smartphone, especially in terms of shooting interviews close-up for better sound. One of my favorite micro-documentaries, a particularly good example of a short documentary profile with the perfect balance between engaging b-roll and well shot interview footage. This documentary brings together gentle camerawork, good editing, and excellent sound design to tell the story of Justin Boyd, Department Chair of Sculpture and Integrated Media at Southwest School of Art. We learn about his personal connection with sound and how he uses it to create works of art. Portrays the impact of a charter school through the story one teacher, presenting the rewards and challenges of her work. One of the eleven micro-documentaries that make up Documenting Bumpkin, a series of glimpses into the artists and site-specific works at the 2010 Bumpkin Island Art Encampment in the Boston Harbor Islands. A particularly strong example of a sponsored, issue-oriented micro-doc that takes on a large, complex problem told through the story of one person and what’s made a difference in their life. An example of the how effective it can be in a short work to focus on one protagonist and one theme, focusing primarily on personal experience, through which you understand the larger context. This trailer for the documentary short of the same name that won the 2013 Academy Award for Best Documentary Short hangs together well as a short advocacy piece. Notice how the visuals in every frame support the storytelling. The direct address is particularly effective in this video. Another really good example of the how effective it can be in a short work to focus on one protagonist and one theme, focusing primarily on personal experience, through which you understand the larger context. Celebrates the founder of Hope Enterprise Corporation, a leading Community Development Financial Institution. This video received a lot of press attention when it was released, demonstrating the power of micro-docs as a catalyst for conversation, winner of the Diversity Award at the 6th Annual Media That Matters film festival and shown on HBO, for more on this film see “Documentary, studies renew debate about skin color’s impact,” by L.A. Johnson, Pittsburgh Post-Gazette, December 26, 2006, and the Wikipedia article. This tightly edited video with strong visuals was shot with an iPhone, and for the most part the format works well for the piece, except for some of the dialogue recording. An example of quick-turnaround event coverage. Matt (the correspondent) and I (videographer/editor) interviewed students for about an hour, I shot cutaways for about 45 minutes, then we did a quick edit in about four hours. Have you come across a micro-documentaries that stood out for you as a particularly good example of the form? Please share it with me in the comments section below. Updates to this post: The list of examples was revised on February 9, 2018. I thought, “Meet Connie” was a great example of an issue oriented micro-doc. A personal story, narrated in a crisp manner, brings you a lot closer to the issue sometimes than a multiple-interview based format (especially if you are pressed on time) . My impression was that a “micro” doc has to be really short, like under 3 minutes. Is something 6 minutes long still micro? Not that it matters – it’s still subject to the same storytelling constraints.